On Monday, 10/29/12, Google did a blog post about their new devices in lieu of their press event cancellation (there being this whole Hurricane Sandy ravaging New York City and all). In the blog post they talked about their upgraded Nexus 7 tablet, their new Nexus 10 tablet and the new Nexus 4 phone made by LG. of these 3 devices it’s obvious that the Nexus 4 appeals to me the most. As you already know I had a taste of the pure Android experience when I had a Galaxy Nexus for a few days. My only knock on it was that it didn’t work too well on the AT&T network and it didn’t have LTE speeds. This new device also doesn’t have LTE; however, with all the new specs on it and Black Friday coming around in a few weeks, I may risk my contract termination fee if there is a possibility that I’ll be able to get this new Nexus device for a penny or less. Last year, the Galaxy Nexus didn’t come out until after Black Friday, so I’m very pleased that this new device is coming out on November 13. This new device specs wise is on par with every other Android device currently on the market, except that it will have the pure Google experience without any compromises. That is the experience that I want more than anything. I have a taste of LTE and it is pretty damn good when it’s working but I’ve noticed that T-Mobile’s faux-G speeds aren’t too far off from the LTE experience. I probably should’ve sucked up the slow speeds initially and switched to T-mobile when my contract expired. But I didn’t. Instead, I got the HTC One X and renewed my contract. The HTC One X isn’t a bad device. The hardware is still sound. Unfortunately the Sense UI being what it is, my device suffers from freeze-ups and latency. Also applications tend to crash every so often. Fragmentation can definitely be a cause of this, but I think it may also just be HTC’s customizations that may be playing a part as I didn’t experience these same issues with the Galaxy Nexus. Granted, I only had the GN for a few days whereas I’ve had my current device for a few months to truly experience these issues and glitches that Android devices have been known to have. Whatever the case may be, I was initially set on experiencing Android the pure way and I see a new opportunity to achieve that goal. When I read the blog reports of the new $249 Google Chromebook, I was immediately drawn in. At first I was thinking if it would be enough for my needs, since the majority of my computer use is web surfing, video watching and the occasional blog posts on WordPress and Tumblr (which are both done on their respective websites). I currently use a 2009 13-inch MacBook Pro which is about to run out of its warranty in December and I know for a fact there is no way I can afford a new Mac. Naturally $249 is an attractive price point. But as I went over the different things I do with my computer, and what I may potentially do (I may want to record an audio podcast again), it became more obvious that the Chromebook wasn’t going to fill all my needs. And Google is very aware of this fact. 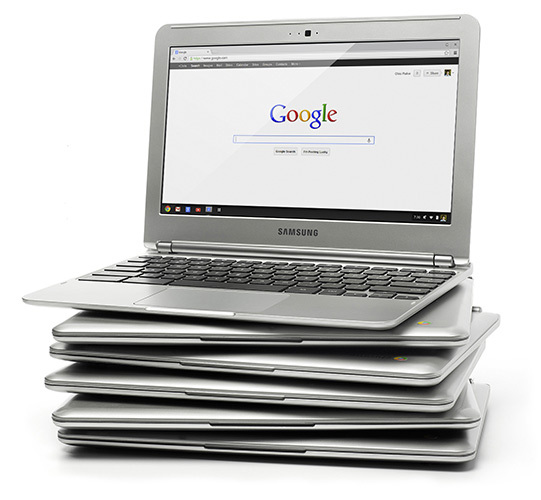 In fact their PR spin on the Chromebook is that it’s a good second computer to have around the house (how many people can really afford or use a second computer in their household? Unless you consider a smartphone a sort of quasi second computer). Now my mother on the other hand is making do with an old hand me down G4 Powerbook that has pretty much seen it’s time. As a machine it runs fine but unfortunately, Apple has no use for machines they deem unworthy and consequently the browsers that are able to run on it are no longer up to date and can barely handle most sites because of compatibility issues and expired plugins. The Google Chromebook would solve this issue for my mother. She only uses the computer to check her Gmail accounts and really only when I’m around. The reason is, she isn’t the most computer literate person around and no matter how much I’ve tried to make checking her email easy for her she finds a way to undo all my customizations. Apple Mail somehow will lose her password that she never seems to remember. Alias icons mysteriously disappear from the Dock. Desktop icons somehow cease to function. With the Chromebook, her email account will be her automatic sign-in (at least I think it will be. I’ll be setting it up for her to be that easy in any case). This should make checking her email as easy as just turning on the computer and opening the browser within seconds. As for software updates, since this really is just a browser OS Google will keep it updated frequently and this computer, in theory will never have to be replaced because of obsolescence. At least that’s the idea I’m getting of the Chromebook’s potential to be my mother’s new computer. Am I wrong in this estimation? I’ll appreciate any feedback.